Clark University junior Odgerel Chintulga took her LEEP project back home this summer. The native of Ulaanbaatar, Mongolia, conducted research on the mining industry’s impact on the nomadic people of Khanbogd. 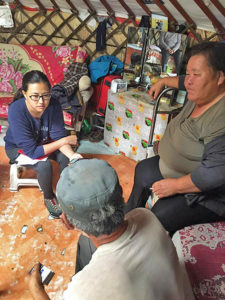 Odgerel Chintulga interviews families in Mongolia. Chintulga (pictured), who majors in environmental science and minors in economics, says her interest in the subject was sparked by a course emphasizing economic and environmental values; it was taught by Christos Makriyannis of Clark’s Economics Department. Mining of coal, copper and gold is a massive industry in Mongolia. The Mongolia Mining Project Report of 2011 noted that the Oyu Tolgoi mine, the focus of Chintulga’s research, has the potential to boost the national economy by a third. However, it is also the subject of profit-sharing disputes. Chintulga’s research consisted of three stages. 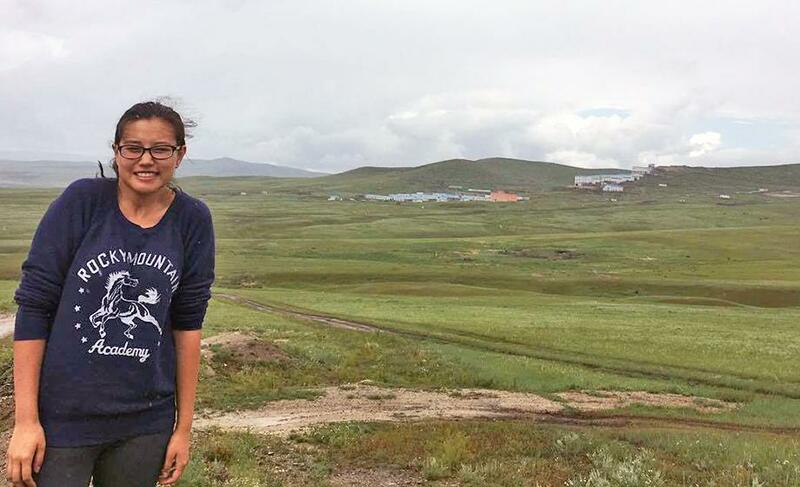 First she collected data about the Oyu Tolgoi mine’s water usage. She then interviewed local herders and nomadic people on how mining, development and Westernization affect their culture and living circumstances. “Herding is a main source of income for nomadic families, but the mining takes up such a huge space. [The companies] dig holes all around the area, and they don’t close them when they’re done,” she says. Chintulga’s work has given a voice to these families.